Making sure you stay warm when ascending new peaks, the lyngen down850 Jacket is the ultimate insulation garment when out ski touring. With a great warmth-to-weight ratio (150 grams of down distributed on 340 grams in total in size L), this down jacket is our lightest down with a hood and will keep the backpack’s weight down and can easily be compressed into a packable pocket. 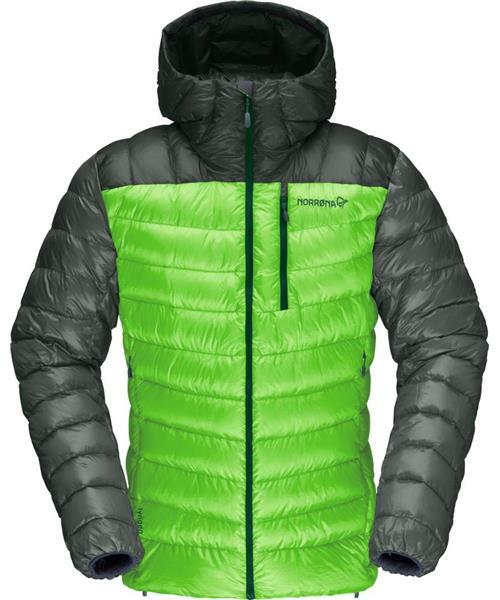 The jacket is made of light weight, down proof recycled polyster 29 g/m2 and has RDS 2.0 850 FP down fill. The jacket's features include a hood with one-hand adjustment with room for a helmet, an outer chest pocket, hem tightening and powerstretch cuffs.